Stephanie Wiehle is a young illustrator and graphic designer in Berlin, Germany. She studied design at the Hochschule Anhalt in Dessau and initially worked for advertising agencies upon graduation, but since 2010 has been freelancing for agencies and companies. The graceful curves of Stephanie's work are so appealing... in fact, her flourished illustrations look to me as if they're ready and waiting to be transformed into beautiful on-edge paper designs. I wrote to Stephanie to ask about her art and design process. What type(s) of art do you enjoy creating most often? 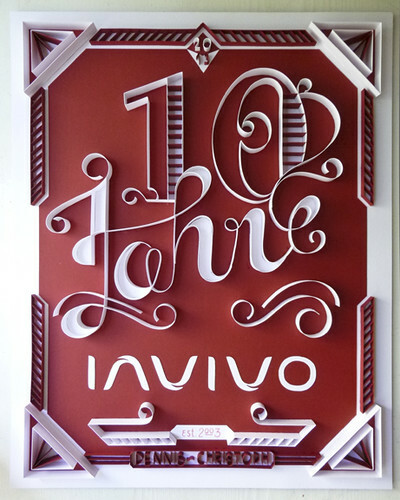 Stephanie created this next piece as a gift for the ten year jubilee of her brother's product design company. Do you have any favorite tools that you just can't work without? I definitely could not live without my rectractable pencil. 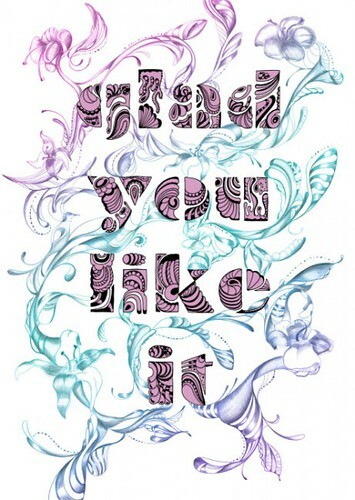 Every artwork starts with it. I think readers will be especially interested in your paper cuttings and on-edge, quilled style art. Do you have any tips to share? 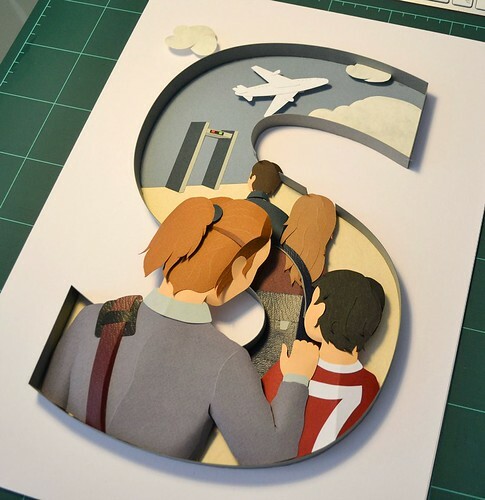 Stephanie created these cut paper works for Mobil - the magazine of the Deutsche Bahn (German railway). 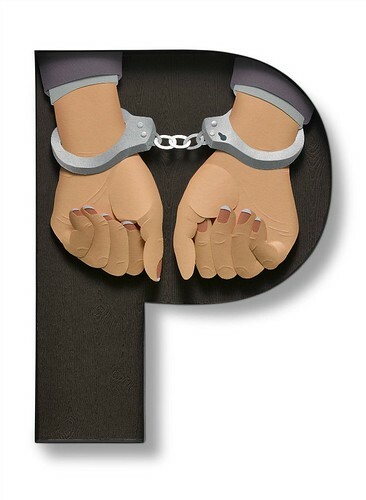 A short film is underway that will utilize the series of images - I look forward to it as the sample images have made me curious about the storyline! 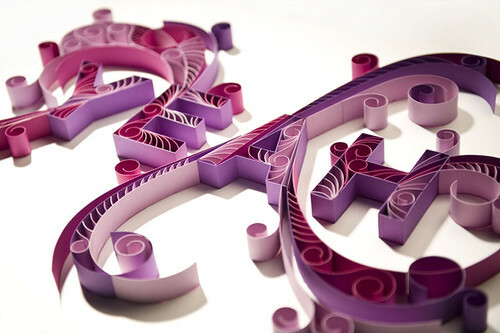 Have you delved into traditional paper quilling? With paper quilling I started a couple of years ago. I just did them for myself to find out how other artists did them and to see if I could do it myself. People are always curious about shipping on-edge designs. When it's time for a delicate piece to be sent away for photography, how do you package it for transport? 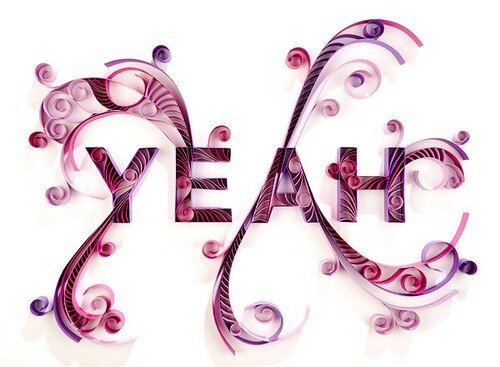 The "YEAH" piece was taken by a befriended professional photographer, as well as the paper artworks I did for the Deutsche Bahn magazine. I put each in a flat carton and delivered them to the photographer's studio myself. It's important that these works are photographed in a very professional way. Stephanie, I wish you continued success! Thank you, I can say I truly love what I'm doing and I feel such a big passion for it. 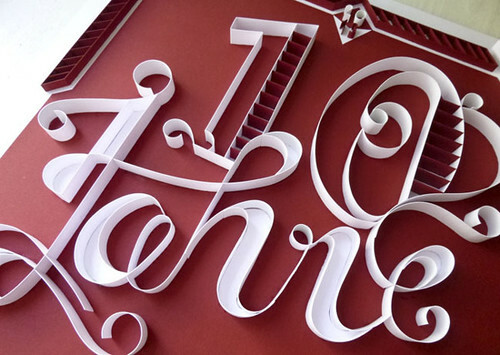 Stephanie Wiehle is on Behance. I agree with you, that's fascinating. I will have to check her blog out. Thanks for spotlighting her. I know I don't comment to you often enough but I love reading and finding out about all these people you seem to find out of nowhere. Keep up the good work. That's so nice of you to say, Julie, thanks! Oh I think Captain America needs that airplane one. How cool is that! 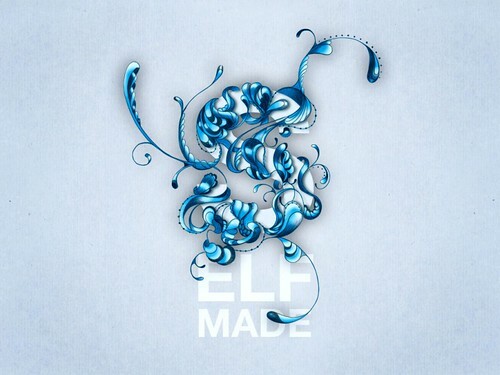 Amazing work - looks so delicate! Wow...awesome works...Thanks for sharing, Ann!! How do you do it Ann? You find the most amazing and beautiful things to share with us! Thanks!